How tall is The Great Canadian Flag? As you might have heard, 2017 marks Canada’s 150th year of Confederation and me and my Canadian friends are pretty excited about it. You can probably imagine how geeked I was when Heidi Horn-Olivito came to me with a math challenge that she and the collaborative inquiry team at Dr. David Suzuki Public School thought up around Canada’s 150th Birthday. They originally wanted to challenge our district, Greater Essex County District School Board (GECDSB) to a month of Canada 150 Math during June. However, I’ve upped the ante and I’m challenging all of Canada. While we’ll be providing a math question and/or provocation during the entire month of June via the @Canada150Math Twitter account and #Canada150Math hashtag, this is a 3 Act Math Task taking on an Estimation180-like beginning that focuses on ratio, rate and proportional reasoning that was used to kick-off the Canada 150 Math Challenge at Dr. David Suzuki Public School on May 31st. The context involves The Great Canadian Flag that was just installed in Windsor, Ontario at the foot of Ouellette Avenue on the waterfront of the Detroit River. 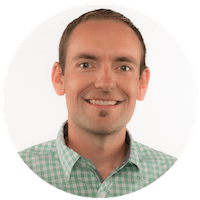 Special thanks to Jon Orr for providing very valuable feedback as I was brainstorming this task out. Show students the act 1 video. Then ask students to do a rapid write of what they notice and what they wonder. Alternatively, you might have students simply chat this out with their neighbours. Where is this video taken? How big is the flag? That is The Great Canadian Flag! How much bigger is that flag than the one in front of our school? Before settling on any wonderings to explore, I show students this video. 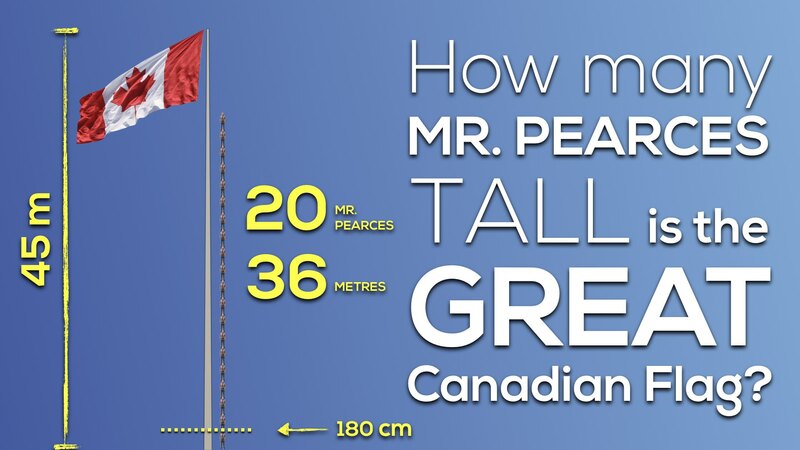 How many Mr. Pearces tall is The Great Canadian Flag? Then, I ask them to make a prediction based only on their spatial reasoning from the visual and intuition. Once students have been given some time to think independently and then discuss with neighbours, we will share out to the group and jot down some predictions. After students have stated predictions and their reasoning, I’ll show students some more information gradually. After students share out their predictions and I record them on the board, you might choose to give students some more information and allow them to update their predictions such as showing how tall 10 “Mr. Pearces” (or 20) would be with the corresponding measurement. And then finally revealing the act 3 video to see how many Mr. Pearces it will take to reach the height of The Great Canadian Flag. Well, we’re not done yet! When I ran this one by Jon Orr, he thought most students would intuitively pick the Renaissance Center. However, I opted to use this as a way to keep the floor really low to start. Interestingly, when I ran this task today at Dr. David Suzuki Public School, some of the younger elementary students did pick the flag likely based on the perspective provided in the image. How much taller is the Renaissance Center? In order to give students an accessible entry point, I offer up this video which gives four possibilities to choose from. I then give students some time to discuss and strategize before taking a vote. How many “Great Canadian Flags” tall is the Renaissance center? About how tall is the Renaissance Center in standard units? This is a fun way to potentially lead a number talk and hopefully get kids doing some math using mental, visual or written math strategies without the use of a calculator (if possible). 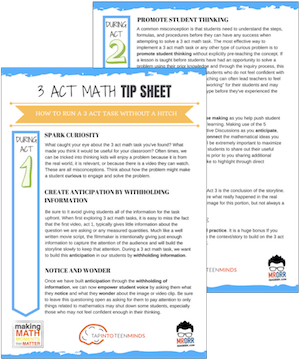 Students might surprise themselves at how close they can get without resorting to punching numbers into the calculator prior to thinking it through with friendly numbers and/or mental math strategies. Sequel #2: How Many Beach Towels? Initially when the #Canada150Math Challenge came up as an idea from the math team at Dr. D Suzuki Public School and my colleague, Heidi Horn-Olivito, a ton of questions were generated to celebrate Canada’s 150th Birthday. How many t-shirts would it take to make The Great Canadian Flag? How many beach towels would it take to cover the Great Canadian Flag? If we all laid on beach towels, how much of us would we need to cover the flag? You can then have them make a prediction. For Act 2, you can share the dimensions of the Great Flag from the article as well as the dimensions of a standard beach towel. Be sure to share out your student thinking and work on Twitter! Well, that’s it for the first of many tasks for the #Canada150Math Challenge we’ll be promoting throughout this month to celebrate Canada’s 150th Birthday! Be sure to check back to my blog, the GECDSB Canada150Math page and follow the @Canada150Math Twitter account and #Canada150Math hashtag to access a new math question or provocation each weekday throughout the month. We hope you’ll share photos of students engaging in Canada150Math tasks and their thinking so we can re-tweet with the rest of Canada!